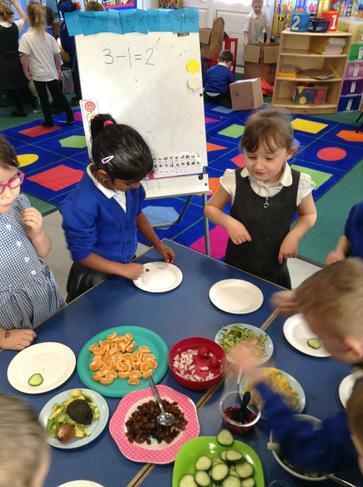 Argh Me Hearties… lets set sail to Year 1! We arrived back in school to a surprise video message from a real pirate! Captain Crealy wanted us to find out about Pirates. We set sail in our learning and discovered that Pirate life can be good fun! Following this we have been learning about ‘Sun Safety’ following the recent hot weather we have been having. We have been learning how to keep safe and cool in the hot weather including wearing a hat, drinking plenty of water and staying in the shade. We have been discussing the effect the hot weather has on our bodies. We have imagined going to the beach, to keep cool, packing up our beach bag! 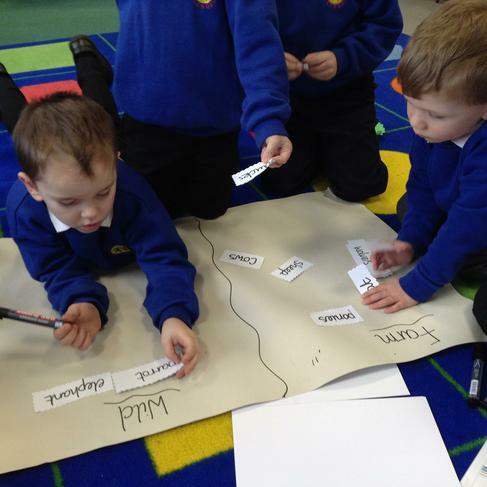 The children have been learning to use adjectives the items in our beach bags! 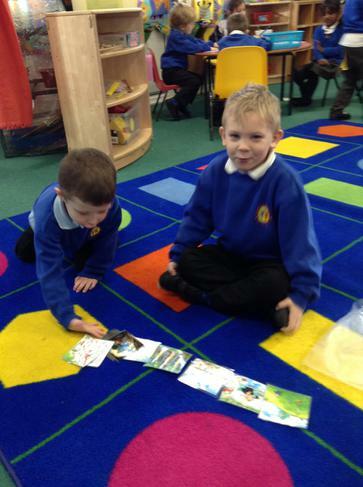 We have been reading the story ‘The Lighthouse Keepers Lunch’ and discussing what a lighthouse is. We are also going to be investigating simple pulleys to see if we can get a bucket of food safely over the water tray, like the picnic basket travelling across the sea the lighthouse keeper! This month Year R have been learning all about changes and growing. 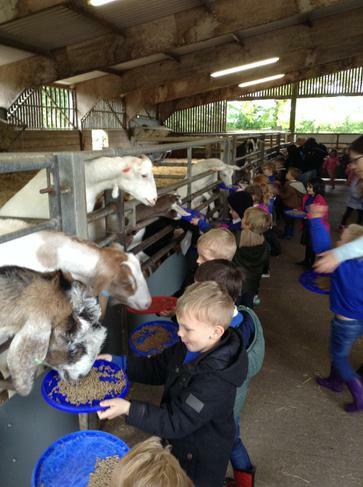 We kick started the Summer term with a fantastic trip to Long Down Dairy Farm. 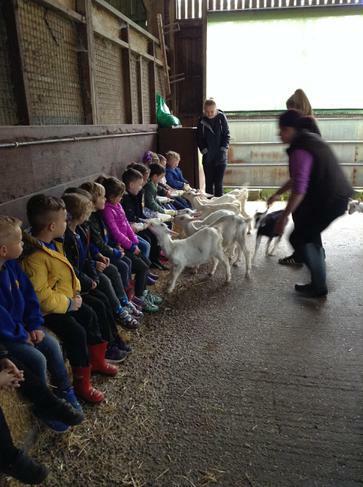 This was a great success and all the children were engaged, motivated and perfectly behaved, a credit to our school. On behalf of all the children, we would like to say a huge “thank you” to all the parent helpers who joined us on the trip, without your help and support trips like this would not be possible! 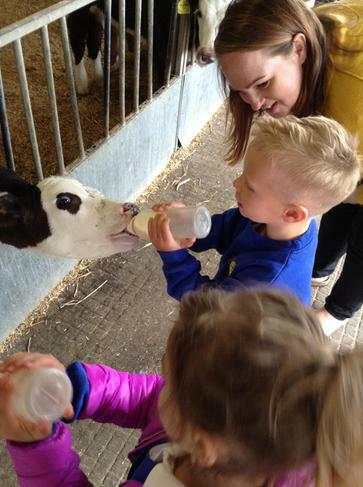 During the farm visit the children did lots of exciting things, such as feeding calves, handling chicks and even collecting eggs to sell in the farm shop! Upon our return from the farm, Ladybird and Butterfly base got a very special delivery of some live eggs! 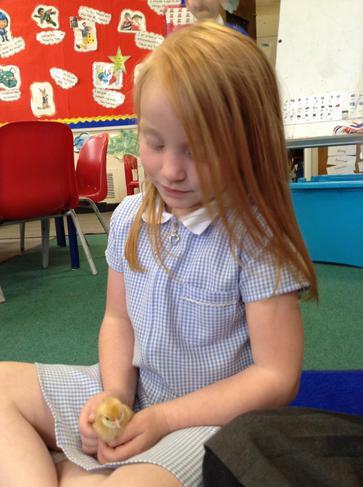 Over the course of the week, the children watched chicks hatch out of the eggs and grow. We were able to hold the chicks, learn all about how to take care of them and what they need to survive. If this wasn’t exciting enough, we are lucky enough to now have duckling eggs in our classroom as well. The children have been getting stuck in to writing, drawing and painting all things farm animal! We are so proud of the progress the children have made so far this year and urge their adults at home to continue reading, writing sentences and talking in full sentences with the children! We have well and truly sprung into Spring in Year R this half term. Following our People Who Help Us topic, we have been noticing the signs of Spring and talking about the changes we can see around us. It has been so lovely to be able to make the most of our outdoor area and as the weather gets warmer we will be out there more and more. We have been digging, planting, playing in the mud kitchen, hunting for dinosaur eggs and doing observational drawings of daffodils. We have also been learning about the Easter Story and thinking about why we celebrate Easter. We would like to say a massive “thank you” to all the adults and parent helpers who came with us on the Church visit, I’m sure you will all agree that Ladybirds and Butterflies were a credit to Kanes Hill. As we move into Summer Term we are really focussing on our sentence writing and addition and subtraction in maths. Please continue to support the children at home with their learning to ensure we give them the best start in the run up to Year 1. 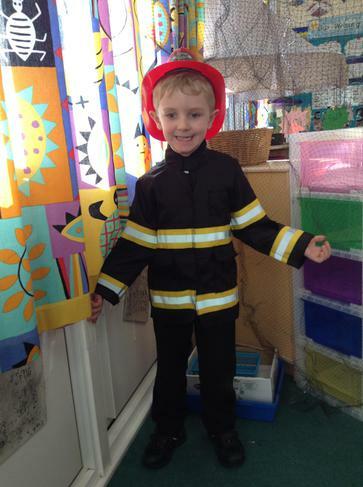 Since coming back after February half term, Ladybirds and Butterflies have been learning all about people who help us. This topic will continue over the next few weeks, followed by learning all about Spring. So far we have thought about who helps us in our day to day lives - at home, on the way to school, at school and on the weekends. 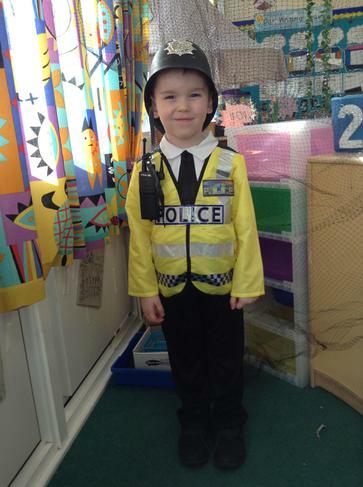 We all came in to school on World Book Day dressed as what we would like to be when we grew up, which linked really well to out topic! We had some wonderful costumes and talked in detail about our dreams and aspirations. 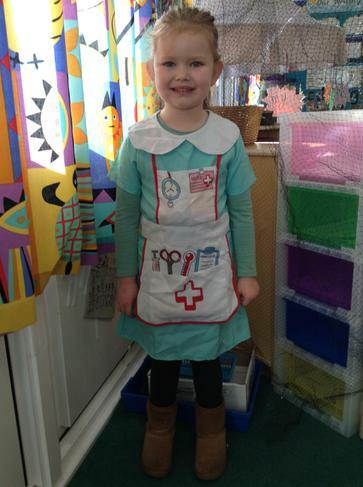 Lots of us wanted help people when we grow up, be it a doctor, a nurse, a fire man and even a scientist! Our teachers really enjoyed hearing all our fantastic ideas and seeing how the topic inspired us to do some wonderful writing! 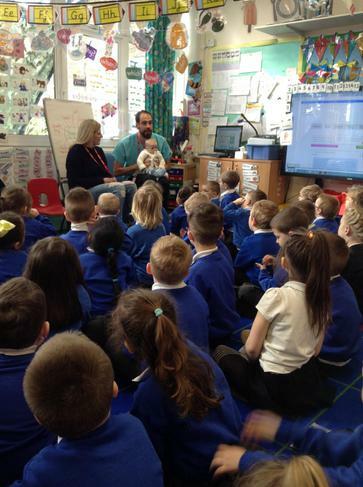 As we continue this topic we are lucky enough to have some special visitors in school to talk about how they help people, from a male midwife, to a hearing dog. As we are now half way through our first year at school, it is really important that we are continuing to practice our tricky words and phonics sounds at home, as well as practical maths problems such as adding and take away. We are also trying really hard with our writing at the moment, so please encourage us to use finger spaces and form our letters correctly! Thank you for being there to help us! Over the past few weeks, Ladybirds and Butterflies have been really focussing on our writing skills. We have been practising letter formation every morning, applying our phonics sounds into word and sentence writing and demonstrating our knowledge in different ways. 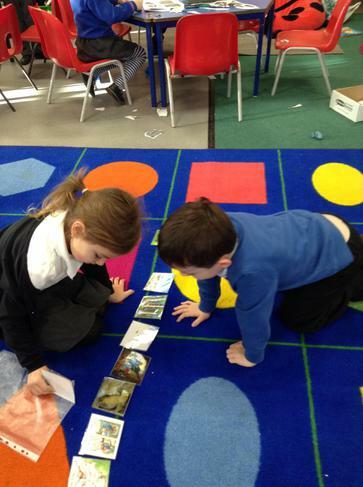 We have really enjoyed aiming our learning around familiar stories and have done some really exciting things. 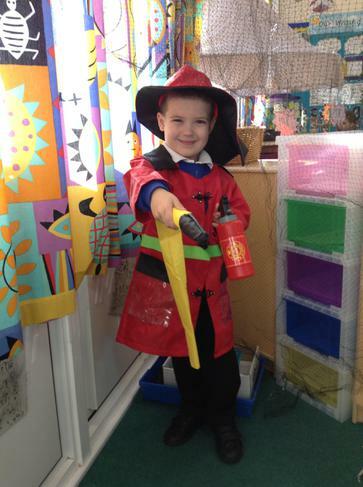 We have role played stories, used water colour paints, made our own books and created puppet shows. During spring term, we focus heavily on applying our skills, so it is important we continue to practise our phonics and tricky words at home, as well as reading at home as often as possible. We are half way our first year at school now and our teachers have been really impressed with all our hard work so far! They are excited to see what else we can achieve this year! 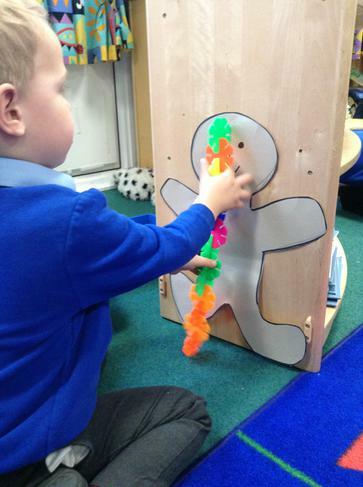 We have kick started the New Year with something VERY exciting in Year R… A Bear Hunt! 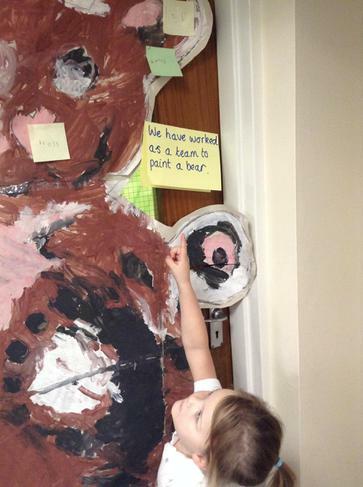 Ladybird and Butterfly base have been reading the story ‘We’re going on a Bear Hunt’ and focusing our learning around this topic. We put our wellies and coats on and went on our very own Bear hunt, through long wavy grass, a deep cold river, oozy mud, a tall dark forest and a swirling whirling snowstorm. We managed to find a (friendly) bear too! During this topic, we have been ordering and retelling the story, making large story maps, writing about the bear and what we might say to him and even labelling a large painting of a bear (using our phonics sounds of course!). Since coming back after the Christmas break we have been coming into school in the mornings all by ourselves, showing a mature, grown up attitude and making our teachers very proud! What a fantastic start to the New Year it has been! We would like to say a huge thank you to all the children for their hard work in the performances and everything running up to them. You have all worked so well together, been persistent when learning some tricky songs and have kept smiling the whole way through! We would like to also say a huge thank you to Mrs Lloyd. Without our very talented music teacher, our Nativity performance would not have been possible. Finally, we would like to say the biggest thank you of all, to all the children, parents/carers and adults at home. The children looked fantastic in all their costumes and we are so pleased you all enjoyed the performances as much as we did. As Christmas approaches, we have had some VERY naughty visitors to Year R – Elvis the Elf and Annie the Angel. 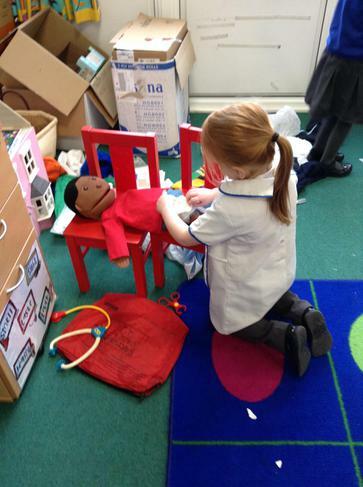 They are in our classrooms watching the children’s learning and causing lots of mischief. We are really excited for the final week of the Autumn term with lots of fun and festive activities in store. 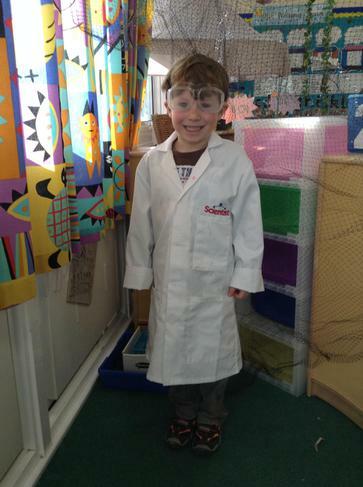 Well done Ladybirds and Butterflies for being so successful in your first term at Kanes Hill! Wow. Wow. Wow. What a FANTASTIC first half term we have had in Year R. Ladybird and Butterfly class have both settled into school life and routines amazingly. All the children have come in with such a lovely attitude towards learning, have tried hard to make friends and have been following the Kanes Hill Golden rules really well. 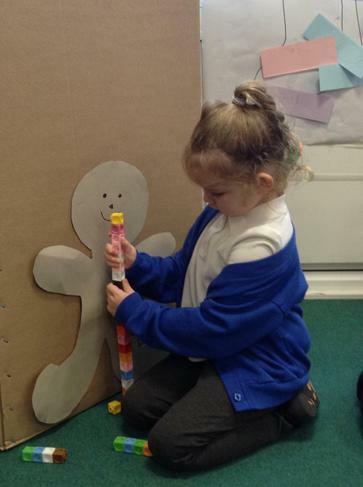 We kick-started our year by learning some familiar nursery rhymes and doing lots of activities based around these. 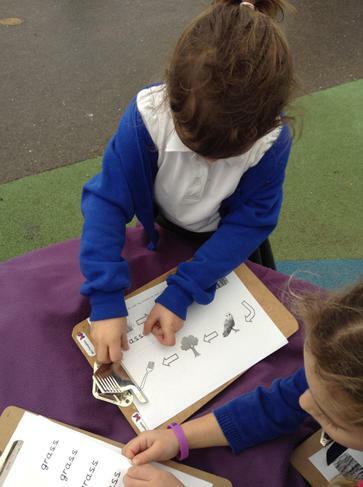 We have done lots of counting and number formation tasks, started some emergent writing and have been getting messy and creative outdoors. This half term has been very exciting too, starting our week with sparklers for bonfire night. We will be moving on to learning about Super heroes over the next two weeks. All of the staff at Kanes Hill have commented on how brilliant our new Year R children are, so we would like to say a massive “well done” to all of Ladybirds and Butterflies and to their adults at home for all their support.